In the West, two polarized groups are used for defining the standard roles of women in the context of the home and church: complementarians and egalitarians. For clarity’s sake, complementarians believe that God established a biblical hierarchy by placing men in authority over women and that he calls women to submit to male leadership. Within this view, only men are to assume leadership positions in the church, with women filling in the supporting roles (i.e. administrative assistant, children’s director, nursery, choir, etc.). On the other hand, egalitarians believe that God does not use gender as the qualifying basis in determining who holds leadership positions within the church- rather it is determined by the gifting and calling of the Holy Spirit. God did not intend to equip his daughters with certain gifts and talents and expect them to bury those talents in the backyard (Matthew 25:14-30); all believers are to submit to one another out of reverence for Christ (Ephesians 5:21). 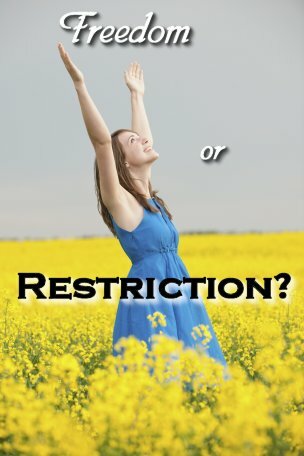 At the core of this debate is whether or not we believe God has placed restrictions on what women can and cannot do in the home or church or if he has given them freedom in Christ (John 8:36) to use their gifts and answer his irrevocable call (Romans 11:29). It seems Christians simply cannot agree on this matter- you would think we would agree to disagree. But no, in our desire to be right we are divided and use the Bible as a weapon to argue and prove our interpretation is the right one, even to the point of verbally attacking women who preach from the pulpit. In 2008, Jackie Roese preached her first sermon at Irving Bible Church in Texas before a 3,500 member congregation. She was called a “cancer in the church,” a “dangerous sign,” and a “threat to Christianity.” Members left the church, and others boycotted the service. In essence, we have become enemies of the Gospel. Sarah Bessey hits the nail on the head, “…there is no more hateful person than a Christian who thinks you’ve got your theology wrong” (2013, p. 15). When I need to remind myself how God feels about women and how he intends for me to use my gifts and calling as a pastor, I can look to the Old Testament or the New Testament for examples: Deborah was a prophet and judge (Judges 4:4), Miriam a prophet and leader in Israel (Exodus 15:20), and Huldah a prophet in Israel (2 Kings 22:14). There are others, but I want to move to the New Testament. If you hold to the virgin birth [a central tenant in Christianity], it cannot escape us, that God brought his only begotten Son into the world through a woman (Mary), without the physical assistance (in an intimate sort of way) of a man whatsoever. Anna was a prophet (Luke 2:36) who served in the temple where Jesus was circumcised and recognized Jesus as the Savior and Redeemer. Jesus elevated women and treated them with dignity and respect; he gave them opportunities to learn (Luke 10:39) and share the gospel (John 4:39). There is not a shred of evidence to be found indicating that Jesus thought women were/are subordinate to men. Women loved Jesus, they flocked to him and they were vital in his ministry and indeed, they were last at the cross on Calvary and first at his grave on Resurrection Day. I will address Paul’s statements on women, submission and silence in Part IV of In Praise of Female Pastors. Evans, R. H. (2012). A year of biblical womanhood: How a liberated woman found herself sitting on her roof, covering her head, and calling her husband master. Thomas Nelson: Nashville, TN. James, C. C. (2010). Half the church: Recapturing God’s global vision for women. Zondervan: Grand Rapids, MI.